Download layered PDF files to customize and print JM assembly plates. Click on the links below to access each Assembly Plate. The Assembly Plates are layered .pdf files that you may need to download to your computer to access the layer functionality. If you do not see the layers of the .pdf after opening the file you may need to install adobe reader. The link to Adobe Reader is provided below. 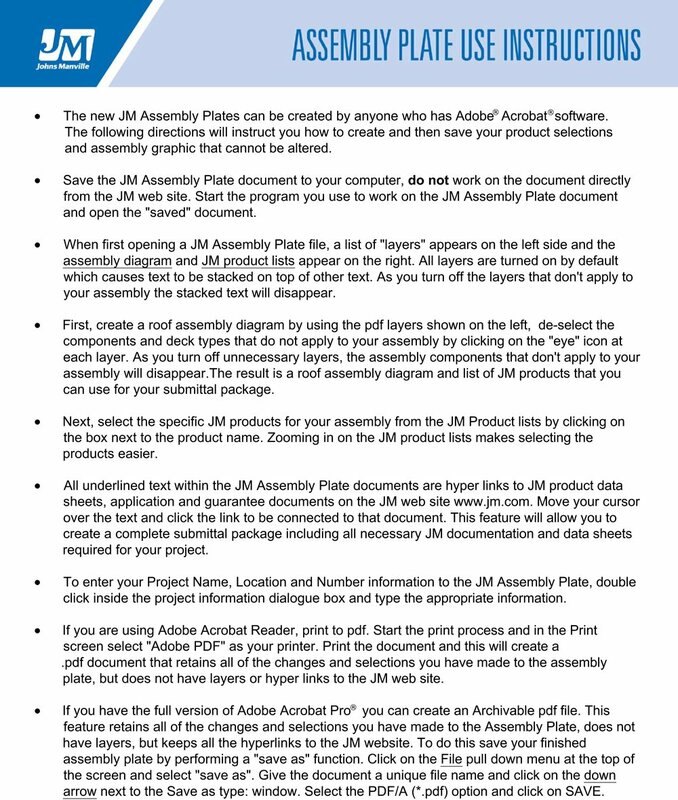 Click the image above to view the instructions for using the Assembly Plate .pdf and other helpful links. Click the image above if you are not able to view the layers of the Assembly Plate .pdf. You will be guided through the installation of Adobe Reader. You should only need to do this once on each computer you plan to use to access the Assembly Plate .pdf.